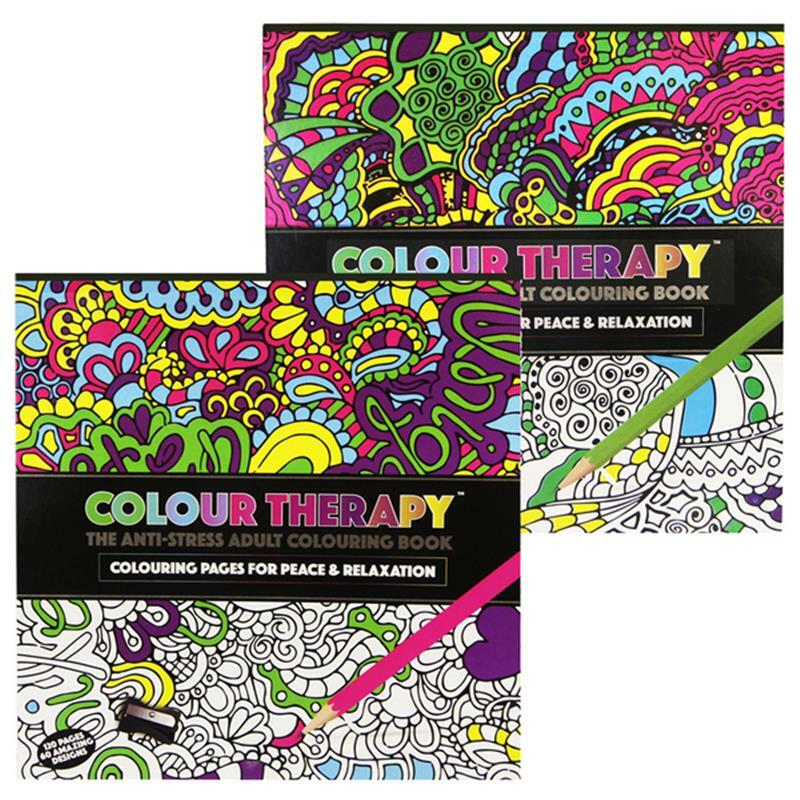 Colour Therapy Anti-Stress Adult Colouring Book. A square Colour Therapy adults colouring book feature 120 pages of 62 amazing designs for colouring in for peace and relaxation. Please note: we cannot guarantee what design will be sent.